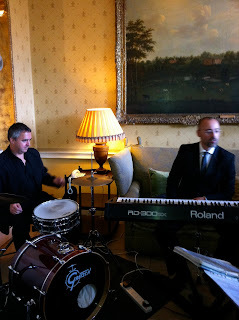 Will you have music during your drinks reception? 10 Dec Will you have music during your drinks reception? I love the drinks reception, and that has nothing to do with the champagne! The ceremony is over, your guests are mingling and chatting and you are having your photographs taken. What about some musical entertainment for your guests? Again there are lots of options as to what you can do and something for every budget. 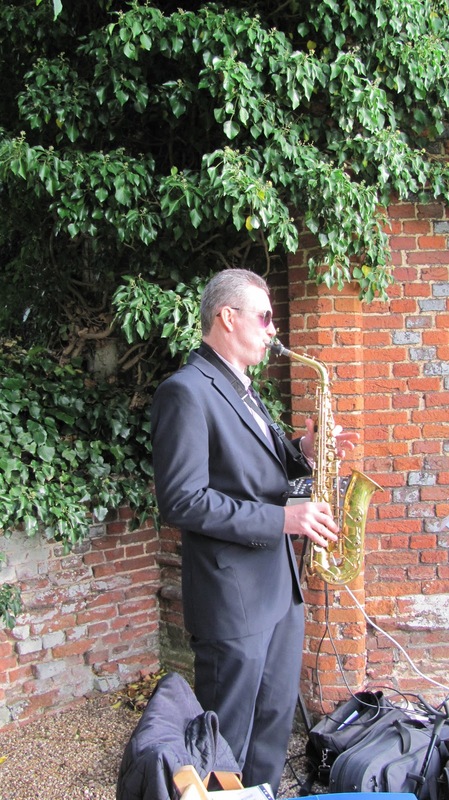 From a solo saxophone up to a jazz quintet. Perhaps you would prefer something more classical then you can’t go wrong with a string trio or quartet, and most of them play so much more than classical music. I always say to my couples think about the syle of your wedding and take into account the time of year, the venue and of course your musical preferences. A Summer wedding suits a jazz trio outsdide on a terrace in the sunshine, something lively and a string quartet is lovely for a Winter wedding playing near a log fire. Vocals can be nice during drinks, but I’m not so keen on them during dinner and I think they can be obtrusive. Acoustic guitar and vocals is one of my favourite options as its very contemporary, for the mosern couple. 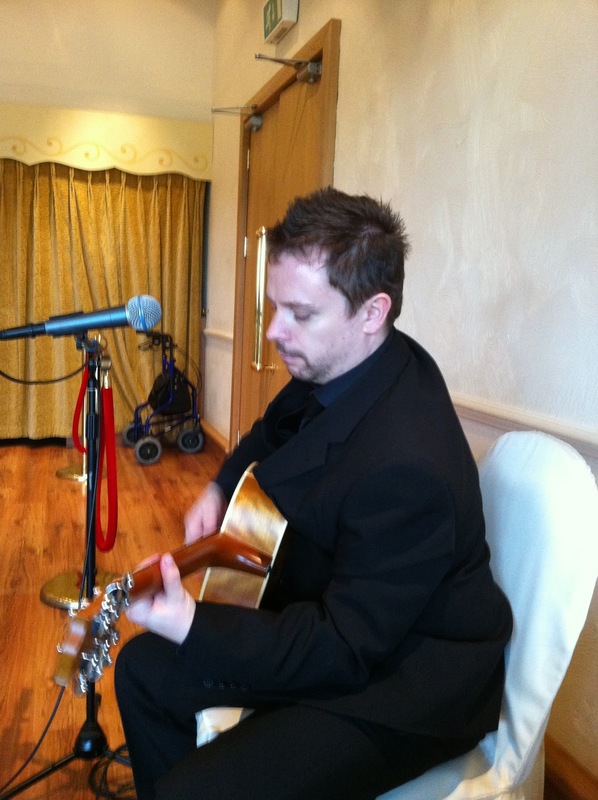 You could go for a tribute act, especially if you have a favourite performer; Elvis, Madonna or Michael Buble. Give some thought to your budget. A quartet will cost more than a solo performer. 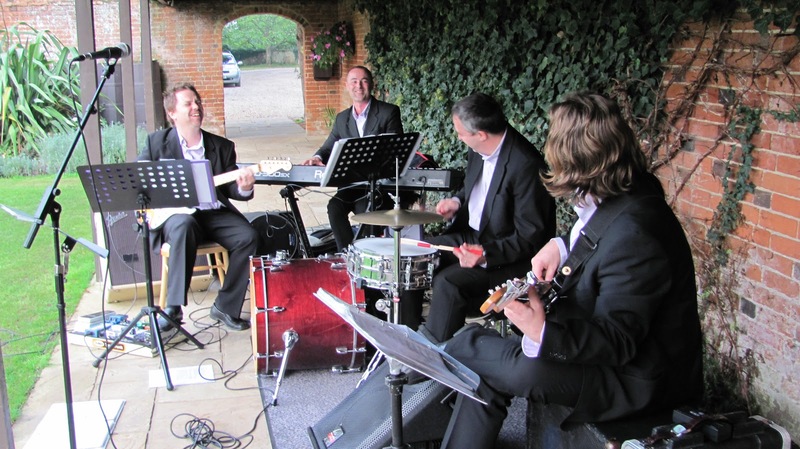 Ask if they can perform at your civil ceremony as well. They might even offer this free of charge.